Cape Cod, Nantucket, and Martha’s Vineyard are home to 22 majestic lighthouses, one of the highest concentrations of lighthouses anywhere. 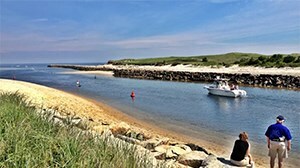 The waters around the Cape and Islands are dangerous for ships due to quickly developing fog, rugged coastlines, the large number of sand bars, and fierce rip tides. These factors led to the construction of many lighthouses on the Cape and Islands during the mid 19th century. These towers of lights provided two main purposes — to provide navigational aid and to warn boats of dangerous areas. Today most lighthouses have lights that run automatically, but for many years lighthouse keepers manually lit the lighthouse lantern, rang a bell, and even shot a cannon. Great Point Lighthouse on Nantucket is accessible only by 4-wheel drive vehicle, unless you are up for walking the seven miles in deep sand. In 1996, the Truro lighthouse was moved back 450 feet from its original location. Prior to that, it stood only about 100 feet from the edge of the eroding bluff. 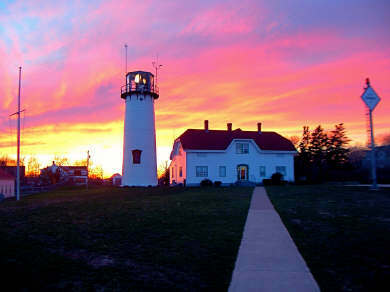 Until 1988, when it was painted white, the East Chop Light on Martha’s Vineyard was called the “Chocolate Lighthouse” for its brown-red color. Nauset Light in Eastham is the logo on the Cape Cod Potato Chip bag. The oldest original lighthouse structure is the Bass River Light in Dennis. The lighthouse was built in 1855, and its tower still stands today. 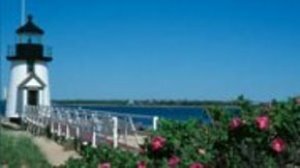 Fall is a beautiful time to experience the dramatic views from the top of a lighthouse as well as learn about the fascinating history of the lighthouses and the keepers who manned them to keep ships, crews, and cargo safe. Below is some information about lighthouse tours in the fall. Admission is free unless otherwise noted. Edgartown Light, Martha’s Vineyard - 10:00am – 4:00pm weekends (Saturday & Sunday) May 26 – June 17 & Memorial Day, daily 10:00am – 4:00pm June 23 – Sept 3, 10:00am – 4:00pm weekends Sept 8 – Oct 7 and Columbus Day 10:00am – 4:00pm. Children’s Memorial Ceremony of Remembrance: Saturday, September 22 at 1:00pm, with a rain date of September 29. All hours are weather permitting. Gay Head Lighthouse, Martha’s Vineyard - Lighthouse Park is also closed until May, 2018 because it is being re-seeded. The schedule for 2018 lighthouse tours will be posted in May on 2018. Looking for the full lighthouse experience? 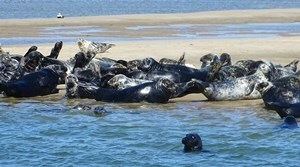 Try an overnight at Race Point Light in Provincetown. Overnight accommodations through mid-October are available in both the Keeper’s house and Whistle house. Accommodations are basic — bring your own linens, towels, food and drinking water. You could also stay in a newly renovated US Coast Guard Lighthouse located in Pocasset. This beautiful and historic home offers 3 bedroom and 2.5 baths. 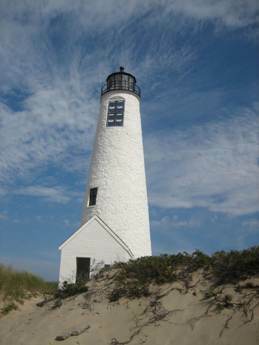 Yarmouth is home to a unique vacation rental that has incorporated a lighthouse into the design. A cozy sitting room occupies the area where the light would be. Whether staying in a “lighthouse” vacation rental or not, the next time you stay on Cape Cod, Nantucket, or Martha’s Vineyard, see how many of these lighthouses you can visit. The * starred lighthouses are still operational. 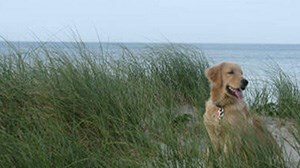 Be sure to check out our Lighthouses of Cape Cod and the Islands on Pinterest. About Elizabeth Weedon: I have worked for WeNeedaVacation.com since 2008, and I've been a loyal homeowner listed on the site since early 1998. An enthusiastic member of the Homeowner Support Team, I provide fellow Cape and Islands vacation rental homeowners with advice about online marketing and rental management techniques to ensure them a successful rental experience each season. In addition to phone and email support to our homeowners, I also create and edit much of the content on our website, as well as our Homeowner Blog and monthly newsletters. I am also the Press & PR Coordinator for the company, responsible for drafting our press releases and responding to press inquiries and interviews. I grew up summering on the Vineyard, where I have managed my family's rental home since the mid-1980's, and I'm passionately devoted to the Island. My husband and I live in Wellesley where we have raised our 2 grown kids and our Black Lab, Maisie.